We believe the face of Auditing is changing. No longer should auditors hide away in back offices with their files and checklists, keeping the audit results hidden, waiting to achieve a ‘Shock Value’ when the results are presented. We want to take the fear out of auditing by working with you to make sure your audit works for you. It is your audit, you know what information is important when it comes to making decisions for your business. By helping you decide what it is you are hoping to achieve from the audit we can produce reports that are targeted to provide valuable information in regards to what is really happening in your business, which can then be used in your strategic planning activities to help your business grow. All audit engagements are conducted in an open and transparent manner. We speak to the staff who perform the activities being audited to give them a voice and discuss any findings with the relevant stakeholders while the audit is being conducted. All audit actions are also discussed and confirmed during the audit process so that when the report is presented there are no surprises, everyone knows exactly what is going to be included. We have a passion for all things Audit and Compliance and would love to share that passion with you to help make your business the best it can be! Regardless of the size of your business, an independent internal audit can give you valuable information to help your business thrive. Internal audits look beyond financial reporting to produce a risk-based assessment of wider issues that may affect the reputation, viability and relationships with employees and customers alike. This is a key component of any assurance program. Compliance audits relate to regulatory guidelines, legislation, standards, contracts, deeds or any external documentation that an organisation is required to follow. This type of audit can be used to prepare for an external audit by a third party governing body, or internally as a comprehensive review of the organisation’s compliance regulations. Such a review can be beneficial when developing or updating internal policies and procedures to ensure all compliance related matters are included. Depending on the size and complexity of the departments involved, multiple audits may be required to ensure vital areas are not overlooked. In contrast to compliance audits, operational audits are conducted on internal documentation created by the organisation, such as policies, procedures, work instructions and forms. 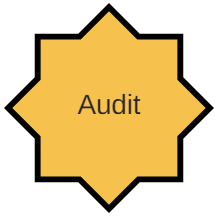 An operational audit is designed as a more in-depth review of internal controls and the effectiveness and efficiency of current work practices. External documents may not always be used to conduct the audit engagement, but you will need to confirm they are referenced in relevant internal documents as per compliance requirements. When conducting an audit engagement on some processes, it may be necessary to track this through a number of departments to ensure thorough review. Another method, depending on the complexity of the process, is to conduct individual audits on smaller sections until the process has been fully audited. Every business or organisation, whether large or small, has compliance requirements. Failing to meet them can lead to lost opportunities and lost business. Regular internal compliance and operational audits can not only help your business to be “audit ready” for any external audits from governing bodies, but can also identify any potential opportunities for improvements or threats you might not have anticipated. If you have a better understanding of the day-to-day business operations, you can implement more efficient and effective work practices to improve your customers’ satisfaction and grow your business. Depending on the size of your business, you may feel it’s not viable to hire a permanent auditor, or you might not have staff with the skills or independence too conduct audits themselves. Do I Need A Quality Management System (QMS)? ISO 9001 has been developed to provide a framework to allow businesses to streamline and consolidates their working practices, creating a solid foundation that leads to increased productivity and a culture of professionalism. Adopting ISO 9001 as your Quality Management System offers current and potential customers confidence that you are serious about the quality of the products and services you deliver. I worked with Katrina for a number of years in an organisation that was a world leader in pharmaceuticals, in quality assurance. She had great experience, not only in quality compliance, but auditing against compliance. I learnt a great deal from her about the auditing process, and it’s value to the organisations in terms of it’s future organisational success, as well as it’s financial success. I recommend KLM Audit & Compliance without qualification. ‘Ridiculously efficient’ is a phrase that comes to mind when I think of Katrina. I had the pleasure of working with Katrina for two years in the highly regulated pharmaceutical industry. I was particular impressed with Katrina’s ability to handle even the toughest customers -effortlessly! With an innate ability to conduct audits and identify compliance issues Katrina was able to successfully navigate through a minefield of potential risks and recommending solutions long before they became actual problems.